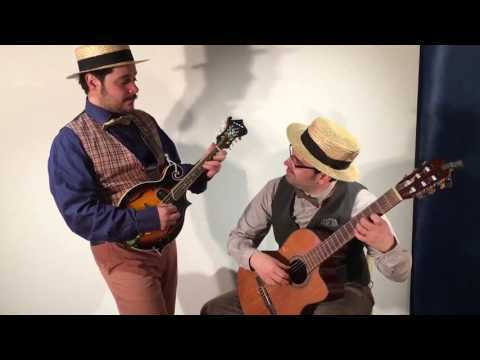 "We were beyond amazed with Chianti Little Orchestra. 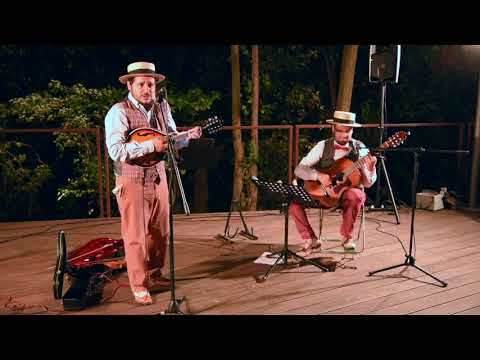 They performed at the welcome cocktails for our wedding in Tuscany and I can easily say that they were one of the highlights of the wedding week..."
"We had a destination wedding in Tuscany and it took ages to review all the music bands available. 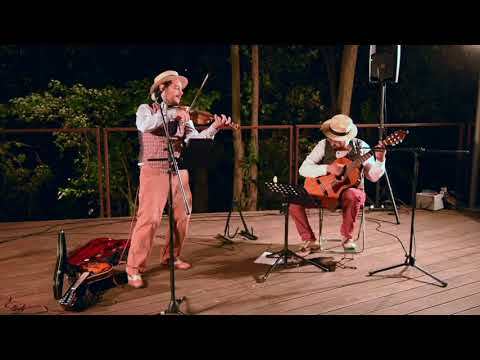 Once we saw Chianti Little Orchestra (further - CLO), we could not think of any other band to pla..."
"We booked Stefano and Francesco for our very special day that we celebrated on the Fattoria La Loggia (FI) on the 5th of May 2018. The Little Chianti Orchestra accompanied our religious ceremony wi..."
"Everything about Stefano and the Chianti Little Orchestra was wonderful! From willing to meet with me a month before the event to researching special song request from the bride - they did it all! ..."
"Stefano Montagnani and Chianti Little Orchestra created a most magical experience for us, our families, and friends. From the planning straight through to the evening itself, they not only put thei..."
"Dei veri professionisti, di cui si nota l´esperienza. Ottima strumentalizzazione, bella voce. 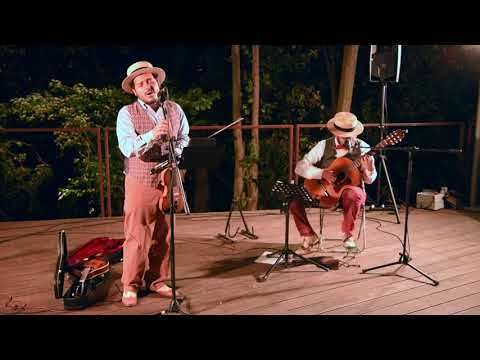 Sono fra i pochi musicisti, che possono essere ingaggiati a occhi chiusi anche se non gia´ conusciuti p..."
"We've booked Chianti Little Orchestra for my dad's 70th birthday party that gathered friends and family on an outdoor terrace in Assisi, Umbria. Throughout the entire preparation, the guys have bee..."
CHIANTI LITTLE ORCHESTRA è una formazione musicale che coniuga la qualità dell’intrattenimento al fascino della tradizione e dello stile italiani. Siamo musicisti professionisti con un'esperienza di oltre quindici anni nel settore dei concerti e dell'intrattenimento ad eventi privati. Il nostro obiettivo è quello di ricreare l’ambiente musicale tipico dell’Italia più autentica. Il richiamo al nome geografico del Chianti, oltre ad affermare la nostra provenienza, vuole indicare anche un marchio di genuinità, di alta qualità, di sincerità e di freschezza. La nostra idea di musica di matrice acustica e dal caratteristico impatto sonoro e scenico. Come quella che si eseguiva tanti anni fa nelle feste sulle aie, nelle piazze dei borghi, o nelle affollate balere estive degli anni ’50, rivisitata con la sensibiltà e la perizia di musicisti di oggi, altamente preparati. 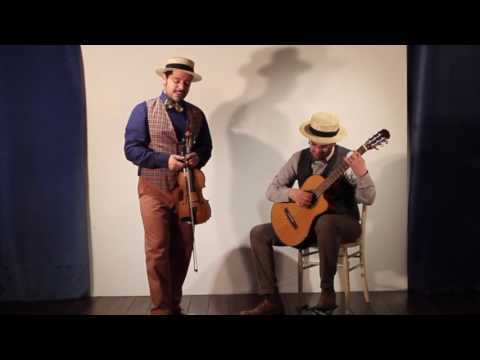 Canzoni italiane quindi ma anche canzoni della tradizione napoletana e perché no, anche valzer strumentali e mazurke, in una speciale rivisitazione con violino e chitarra, alternati ad altri strumenti. 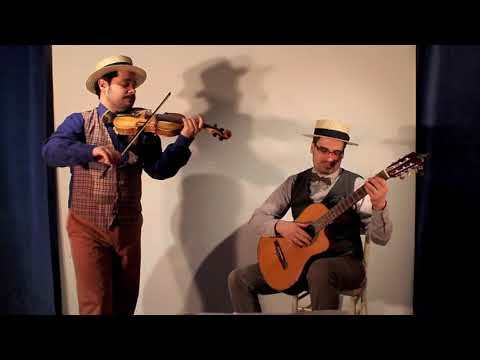 La nostra formazione di base è infatti il duo polistrumentale (chitarra, voci, mandolino, violino, diamonica) che può essere esteso al quartetto con l’aggiunta di fisarmonica e contrabbasso. Lavoriamo con successo in tutta Italia e all'estero. Il nostro repertorio comprende il meglio della grande canzone italiane ma anche canzoni della tradizione napoletana e brani strumentali come valzer, mazurke, musiche di film e altro. Possiamo eseguire brani particolari su richiesta. La durata delle nostre esibizioni è variabile in base alle richieste. Siamo muniti di impianto professionale audio-luci adatto per ogni location. Ci occorre uno spazio minumo di metri 2x2. Ci occorre circa un'ora per allestimento e cambio costume. Possiamo suonare in più postazioni. Abbiamo un'esperienza di oltre 15 anni nel mondo della musica dal vivo con varie formazioni (festival, club, teatri, rassegne estive) e nel mondo dell'intrattenimento per eventi privati presso le location più esclusive e con i maggiori Planner italiani ed esteri. 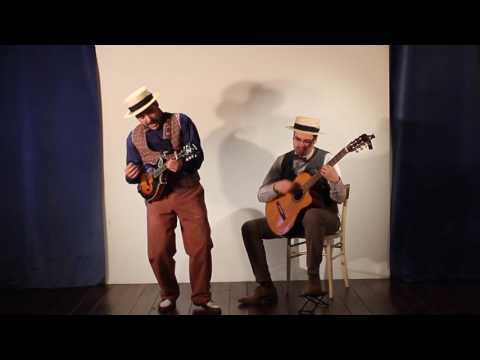 We were beyond amazed with Chianti Little Orchestra. 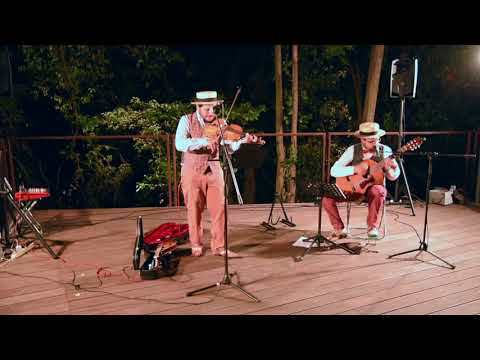 They performed at the welcome cocktails for our wedding in Tuscany and I can easily say that they were one of the highlights of the wedding weekend! Their music set the perfect ambiance, they were both really friendly and professional and they are exceptionally talented musicians. We highly recommend them. THANK YOU! MERCI! We had a destination wedding in Tuscany and it took ages to review all the music bands available. Once we saw Chianti Little Orchestra (further - CLO), we could not think of any other band to play throughout our wedding day. Firstly I was in love with the videos guys have posted in the internet (e.g. "I found my love in Portofino") and after all I am happy to confirm that in the real life they are even better. Somehow they managed to create this special atmosphere which is the key for the perfect wedding. We booked Stefano and Francesco for our very special day that we celebrated on the Fattoria La Loggia (FI) on the 5th of May 2018. The Little Chianti Orchestra accompanied our religious ceremony with guitar and violine and entertained our wedding guests for the dinner party. It was a pleasure to work with them - they are very professional musicians that bring in a lot of empathy for the clients and the moment. We would definitely recommend them and book them again for private parties, weddings and intimate events! Thanks guys for being there! Everything about Stefano and the Chianti Little Orchestra was wonderful! From willing to meet with me a month before the event to researching special song request from the bride - they did it all! Then on the actual night of the performance - their true talent shined! The music was filled with passion and was the PERFECT way to kick off the wedding weekend! I hope to have the chance to work with them all again! Stefano Montagnani and Chianti Little Orchestra created a most magical experience for us, our families, and friends. From the planning straight through to the evening itself, they not only put their considerable talents, but also their hearts and souls, into making this special night everything we dreamed it would be and more. Stefano and his colleagues clearly treat every celebration as if it were their own or that of their families, shaping experiences that are unique and that are rich with the depth and breadth of Italian music from all regions and eras. With their music and their spirit, they bring an atmosphere into being that is warm and joyous, and shape moments that are simply unforgettable. My husband and I could not have asked for anything more beautiful or more perfect to help us and our guests usher in and set the tone for our wedding weekend. Dei veri professionisti, di cui si nota l´esperienza. Ottima strumentalizzazione, bella voce. Sono fra i pochi musicisti, che possono essere ingaggiati a occhi chiusi anche se non gia´ conusciuti prima. We've booked Chianti Little Orchestra for my dad's 70th birthday party that gathered friends and family on an outdoor terrace in Assisi, Umbria. Throughout the entire preparation, the guys have been forthcoming and easy to work/communicate with. We've planned out the event timing and they've incorporated even some of our ideas for sing-alongs into their repertoire. On-site, they were uncomplicated and very flexible, giving off a great image of the perfect Italian duo à¢â‚¬"à‚ an incredible fit with the overall setting. 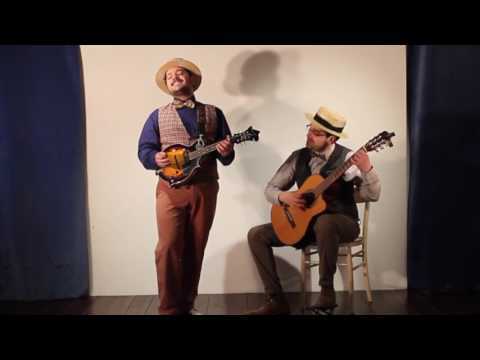 Overall, they played a big variety of styles that offered the perfect backdrop for the party à¢â‚¬" from opening reception to post-dinner performance to more outgoing sing-alongs. Overall, Francesco and Stefano turned what would have been a nice little gathering in to an outstanding party that people will be talking about for years to come. Grazie mille! We'll be working with them again for sure.